- Native keyboard mode - Type directly in native script. - Handwriting mode (currently available for Hindi only) - Write directly on your phone screen. 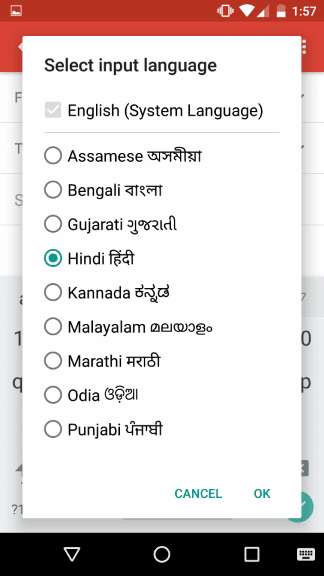 - Hinglish mode - If you choose “Hindi” as an input language, the English keyboard will suggest both English and Hinglish terms. 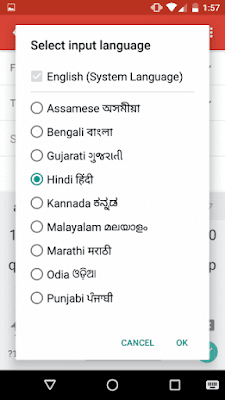 -> Language & Input, under “KEYBOARD & INPUT METHODS” section, go to Current Keyboard -> Choose Keyboards -> Check “Google Indic Keyboard” -> back to “Language & input” -> Current Keyboard -> Select “English & Indic Languages (Google Indic Keyboard)”When typing in an input box, you can also change the default input method by clicking the keyboard icon on the bottom right corner of the screen. 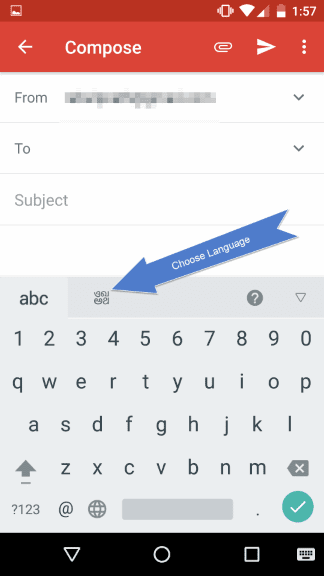 Open the Google Play Store app on your phone and search for Google Keyboard. 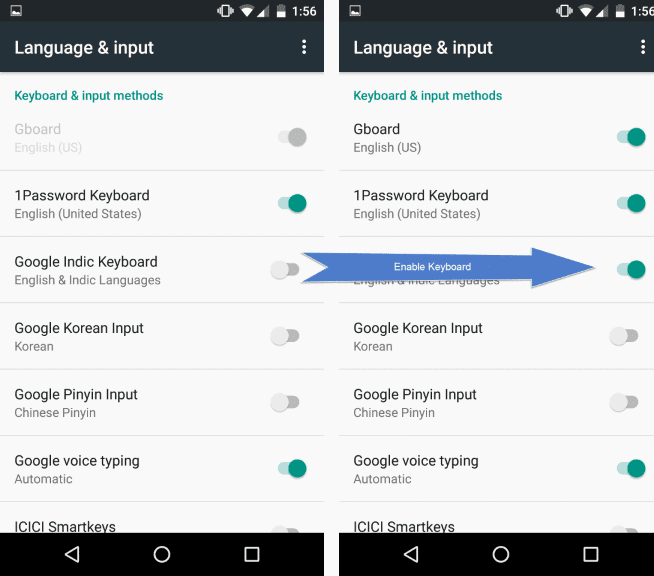 In the Keyboard & Input section tap on the Current Keyboard option and then select Google Keyboard from the options. Launch any app with a text field (email, messaging, search, etc.) and the Google Keyboard should now be your default. 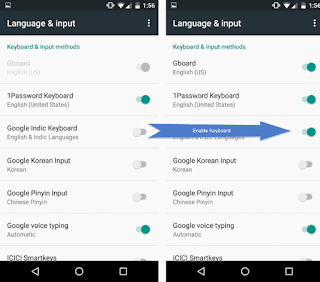 Telugu Typing in Android(ఆండ్రాయిడ్ లో తెలుగు టైప్ చయటం ఏలా ),how to type telugu in android.